Taylor Hawkins is best known as the drummer of the rock band the Foo Fighters, one of the hottest and hardest rocking bands today. 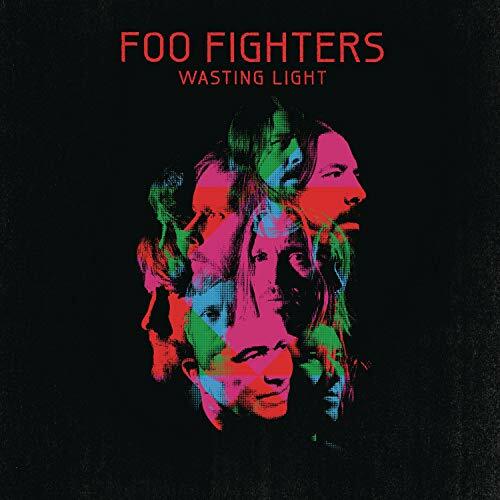 Indeed, not long ago they were awarded 5 Grammy Awards their outstanding 2011 release, "Wasting Light." Taylor also has several side project bands of his own, including, Taylor Hawkins and the Coattail Riders and The Birds of Satan. I've been a fan of great rock drummers for most of my life, and Taylor is one of my personal favorites for his style, energy and personality. This page is my small tribute to Taylor Hawkins, where you can find out more about his music, his drumming and also find links to great products, photos and more information. 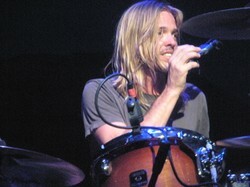 Image: Taylor Hawkins in concert, May 2010 in New York City. Photos on this page are by the author, sockii, unless otherwise indicated or provided by Amazon/eBay. Taylor Hawkins performing in Philadelphia with the Coattail Riders. Current drumming equipment: Gretsch drums, Zildjian cymbals, DW Hardware, Remo drum heads, Latin Percussion Percussion, North drums, Shure drum microphones and Zildjian Taylor Hawkins Signature drumsticks. Relationship status: Married (to wife Alison), currently father of one son and one daughter. Get more Taylor Hawkins facts at Wikipedia. Taylor Hawkins joined the Foo Fighters in 1997 - previously he had worked as a drummer for Sass Jordan and Alanis Morissette. When conflict lead previous Foo Fighters drummer William Goldsmith to quit, Hawkins became his replacement and soon established himself as the only drummer for the Foos, developing a strong friendship and working relationship with band leader Dave Grohl. An overdose in 2001 nearly cost Hawkins not just his place in the band but his life, but he came out of the experience stronger than ever - and dedicated to a clean and healthy lifestyle. For more information on the history of the Foo Fighters and Taylor's part in the band, read my extended article The Foo Fighters: More Than Everything You Ever Needed to Know. Check out Taylor Hawkins in action with the Foos! 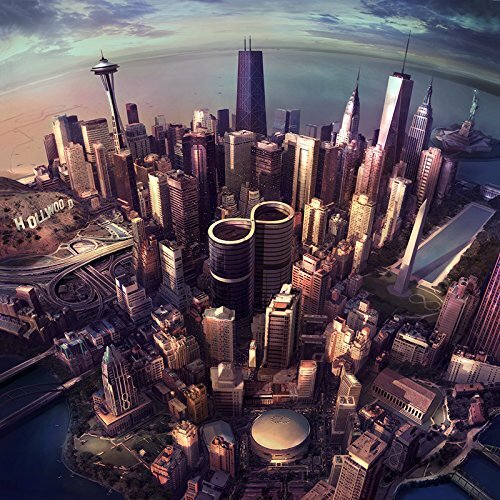 Enjoy this selection of great Foo Fighters live performances and music videos! Here you can get a wonderful sample of Taylor's drumming - and also his singing - in these cool clips. What Makes Taylor Such a Great Drummer? "[Taylor] and I have a connection that I've never felt with another person in a band. I know that Taylor will be in my life for the rest of my life. ... Taylor needs to be recognized as one of the best drummers you've ever seen in your life. I mean, I would have nothing less in my life, especially as a drummer. That plays a huge role in everything to me. Just because--if I'm not having a good show, I want to turn around and watch Taylor, so that I'm entertained. And it happens every night. He can make me laugh with his drumming. It's the greatest thing in the world. So not only do I understand him as a person, we can speak to each other musically. It's pretty cool." Who Is The Best Drummer in the Foo Fighters? Taylor Hawkins all the way! Taylor's great, but David Grohl just can't be beat. He's number one. They're both awesome drummers! Don't make me choose a favorite. I miss original Foo Fighters' drummer William Goldsmith. Huge Fan of the Foo Fighters? The Foo Fighters are one of the most popular - and enduring - rock bands to emerge from the 1990s. If you're a huge fan of the band, then share your favorites here in this ultimate fan survey. 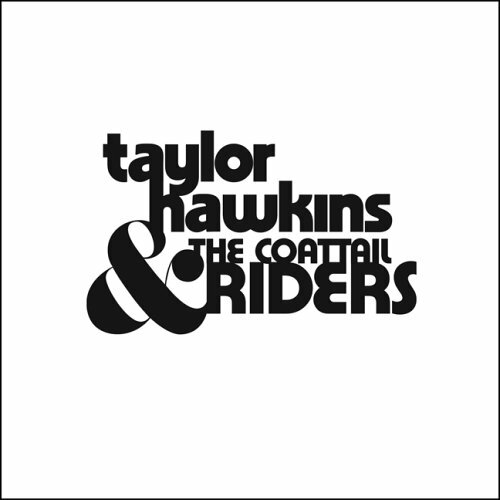 "Taylor Hawkins & the Coattail Riders"
If you haven't heard it yet, do give a listen to Hawkins' first solo album, the self-titled "Taylor Hawkins and the Coattail Riders." With loving nods to his own favorite music, you'll enjoy these songs that recall everything from Genesis to The Police - but have his own unique style and flair in clear evidence as well. 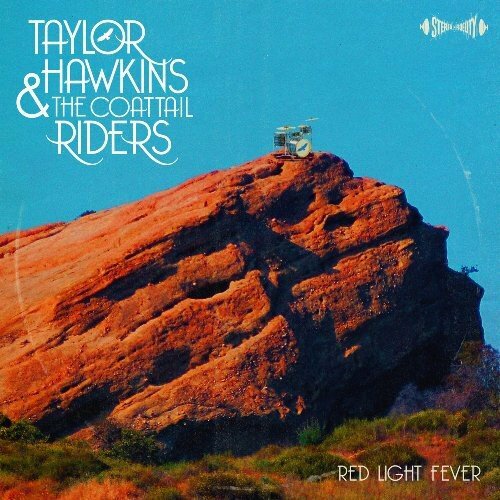 Taylor Hawkins Second Solo Release, "Red Light Fever"
Taylor Hawkins' second album with his side band The Coattail Riders is a delight, especially for fans of 70s & 80s classic rock. Hawkins wears his influences and inspirations on his sleeve and even gets a few of his heroes, like Brian May and Roger Taylor from Queen, to help out with guest appearances. You can read my full review of "Red Light Fever", and then check it out for yourself. Taylor Hawkins talks about "Red Light Fever"
In this interview clip from Associated Press, Taylor Hawkins talks about how "Red Light Fever" came about, including the impact of guest appearances by Brian May, Roger Taylor, and Foo's bandmate David Grohl. 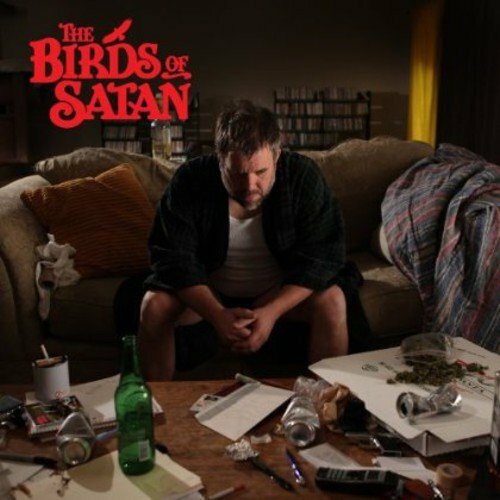 Taylor's 2014 solo project, "The Birds of Satan"
This 2014 release from Taylor's new solo project is a blast from the 70s past! A great mixture of hard-rocking tunes drawing on many of his musical influences. Read my full album review at Spacial Anomaly. Signature Drum Equipment You Can Own for Yourself! Want to play the drums like Taylor does? Well, maybe you won't quite get that same sound from equipment alone, but you can get closer by using his signature line products. These sticks, designed by Taylor himself, are similar to a classic 5B but with a large round tip for better projection and tone. Black nickel finish, produced by Gretsch. A great collectible for Taylor fans, whether you are a drummer or not! Bid on Taylor Hawkins photos, magazines, autographs and more! These are the best places online to find out more about Taylor Hawkins, his drumming and his music on-line. Taylor's official site with tour info, music and more. 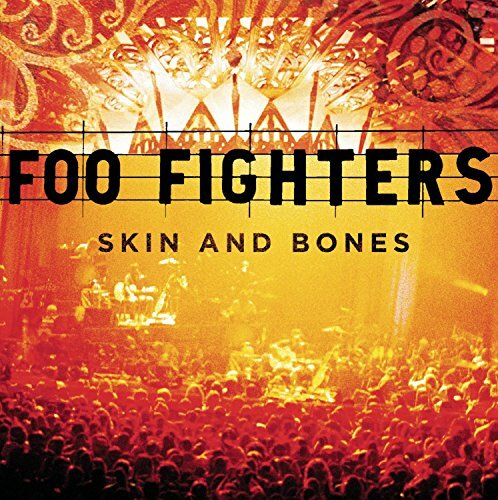 Official web page for the Foos fighters. News, merchandise, message forum, videos - it's the place to go for news on the band. An archive of interviews with Taylor Hawkins, from 1997 to the present day. Wikipedia entry on Taylor Hawkins. Photos, videolinks and more through this great directory of top rock drummers. What's been tagged "Taylor Hawkins" on tumblr? My path to becoming a fan of Taylor's was fairly unusual. 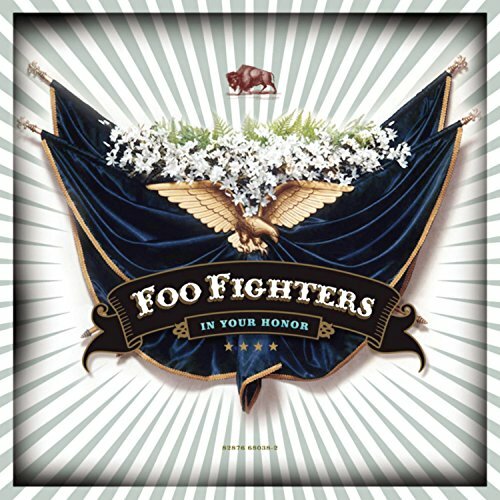 I'd certainly heard the music of the Foo Fighters before on the radio and TV but had never paid them too much attention until the publicity campaign for "In Your Honor" in the summer of 2005. I was surfing around one of my favorite message boards at the time - Ian Copeland's "Ask Uncle Ian" forum - when someone posted he was heading down to Times Square because he'd just seen Stewart Copeland hanging out with the Foo Fighters at MTV studios. (Keep in mind, most of us at AUI were huge Stewart Copeland/Police fans; it was our main "hangout" at the time.) Sure enough, MTV2 was running its "24 Hours of Foo" special and Stewart had shown up to play bucket drums out in the street and hang out for the band for a while. I'd heard mention previously that Taylor Hawkins was a big fan of Stewart's playing, and not long after I saw a drumming magazine had a joint feature/interview on the two of them where it turned out they had become good friends. I figured any drummer - like Taylor - who had my favorite drummer's approval had to be worth checking out. 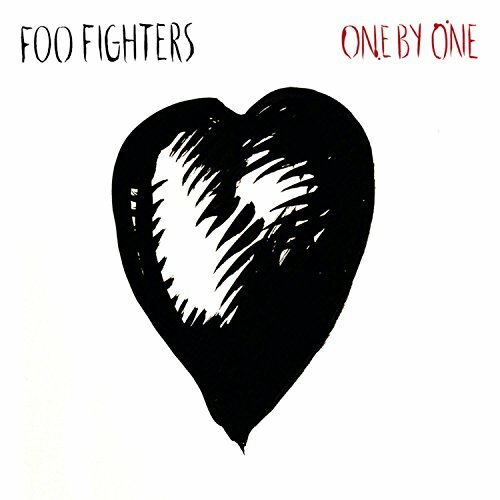 So I spent a little more time listening to the Foo Fighters, including picking up "In Your Honor," and quickly became a fan. 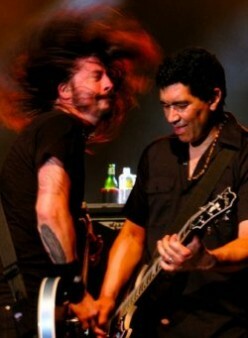 I found what I really loved about the Foos was their energy and sense of fun and humor. This was a band that made good music and seemed to have a lot of fun doing so. I saw them in concert and found they were one of the best live bands out there today - really interacting with the audience and putting on a great show. Taylor certainly impressed me with his drumming, but it was when he came out with his first solo album, "Taylor Hawkins & the Coattail Riders," that I really took notice. 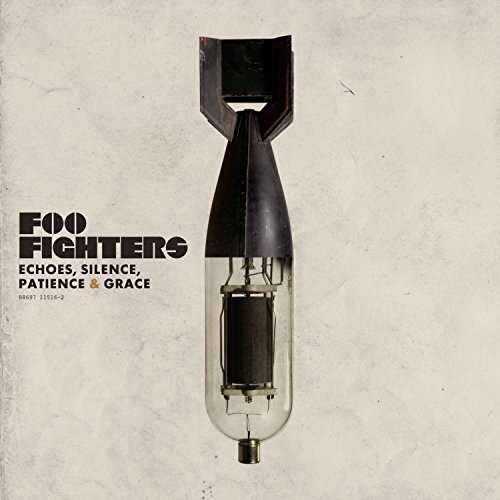 I enjoyed the music on that album almost more than I enjoyed the Foo Fighters songs, as it had a very retro-70s vibe that I enjoyed and I quite liked Taylor's singing voice - along with his drumming! When he toured in support of the album in 2006 I saw him play at the tiny North Star Bar in Philadelphia, which really gave me the chance to appreciate his drumming close up. I loved that he was cool enough to simply hang out with fans before the show, eating dinner with the band and not putting on any "rock star" airs at all. I was beyond thrilled when, after the Taylor Hawkins & The Coattail Riders show on May 4, 2010 in Baltimore, Maryland, I was able to briefly meet Taylor at long last. He was wonderfully friendly, taking his time to meet and greet with each fan waiting outside the club for a chance to say hello. He was gracious to pose for a photograph with me, making the night a truly memorable one. Many thanks to my friend who took this photo and captured the moment! Two days later I was able to see him perform again at the Gramercy Theatre in New York City, where I was able to return the favor and snap a few photos for other friends meeting Taylor for the first time. Thanks for checking out my tribute page to Taylor Hawkins. Who is your favorite drummer? Got a great drum page on Squidoo to recommend to me? Please let me know!